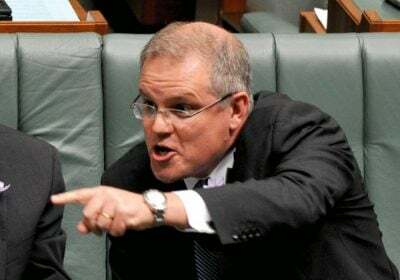 As Australia’s tattered yet new government, led by the increasingly oafish and amateurish Scott Morrison trundled into its post-climate phase, states which see their existence as dependent on the cutting of carbon emissions have been more than a touch concerned. Their reality remains divorced from the paper clip conspiracies of Canberra and the energy cliques obsessed with cutting prices. Morrison’s ascension to power was yet another, existentially imposed headache in the aftermath of US President Donald J. Trump’s announcement that the United States would be making a dash from any obligations and aspirations associated with the Paris Climate Agreement. Pacific Island states were starting to write up their wills. When the decision by Trump was made in the middle of last year, such states as Samoa and Fiji felt a shudder. The Australian response, ever mindful of the wishes of its obese cousin and all powerful defender, has reflected a certain bipolar conditioning on matters ecological and climactic. Canberra takes the position, when convenient to its neighbours, that climate change is genuine, dangerous and in need of serious consideration. When necessary, amnesia takes hold. In the aftermath of Morrison’s replacement of sitting Prime Minister Malcolm Turnbull, Fiji’s Prime Minister Frank Bainimarama sent a salutary reminder to the new Australian leader couched in a disarming note of congratulation. Morrison ought to be suffering jitters from such figures as Samoa’s Prime Minister Tuilaepa Sailele, who has made it clear how climate change laggards should be treated. Then came the delicious blow, landed between the gizzards. “So any leader of any country who believes that there is no climate change, I think he ought to be taken to mental confinement. He is utterly stupid. And I say the same thing to any leader here. Despite such cataclysmic promises, Australia’s politicians remain resilient before the inconveniences of reality, and warm to the enticements of stupidity. The big god coal, and associate demigod fossil fuels, call the tune. Despite the issue of climate change making its inevitable appearance on the agenda, Payne preferred to see it as one of the items for discussion, rather than the main show. “We really recognise that our Pacific Island neighbours are particularly vulnerable to climate change.” Australia had been purportedly “working hard” towards climate change commitments, though Payne failed to spell out any coherent steps of late. The internal politics of the governing coalition in Australia remains intimately related to the fossil fuel industries and climate change sceptics. The schismatic Tony Abbott remains convinced that Australia should go the way of Trump, and more than a sprinkling of his colleagues think the same. Central to this is not environmental degradation so much as cheaper energy prices, which has become the holy of holies, the El Dorado of policy makers. Such is the thinking that accompanies the short term aspirations of shop keeping types even as it dooms island states to watery oblivion.